It's rare for a total solar eclipse to coincide with the Spring Equinox - the first official day of Spring - and more unusual still for it to be seen in Europe. But on March 20, the eclipse will be visible in the UK, particularly in Scotland, and Scandanavia from the early morning. So here's Weekend Notes' guide on where and when to see the eclipse. 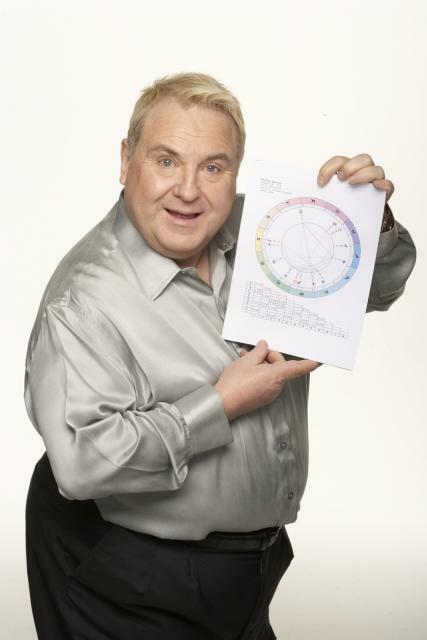 While celebrity Russell Grant gives his verdict on how the event will affect your horoscope. It is expected that 94 per cent of the sun will be covered in Glasgow, Aberdeen and Edinburgh from around 8.30am on March 20, but over 95 per cent of the sun covered in the Hebrides, Orkneys and Shetland Islands. 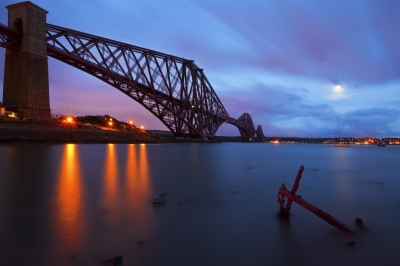 British people further south will still be able to catch a glimpse of the extraordinary event. Londoners, for instance, are expected to see 84 per cent of the sun covered from 8.45am. It will be much earlier for those on the Faroe Islands or in Norway and other Scandanavian counties, where an almost full eclipse will be viewed. A spokesperson for the UK's Met Office said: "On Friday 20 March a total solar eclipse will occur across the Arctic and in the far Northern regions of Europe. This is the last total solar eclipse in Europe for over a decade, with the next one not due until 2026. "In London the partial eclipse will start at 8.45 with the maximum eclipse at 9.31, before ending at 10.41 when the moon will pass completely from in front of the sun, thus ending the partial eclipse. In Scotland the partial eclipse will begin 15 minutes earlier at 8.30 in Edinburgh, and in Northern Ireland and Wales it will start even earlier, starting at 8.26 in Belfast and 8.23 in Cardiff." Delving into this unusual event from a horoscope point of view is British astrologer and TV celebrity Russell Grant, who explains how the eclipse will affect each star sign. Astrologically, Grant says that there is power and energy at the Spring Equinox and eclipses are major events too. "The Spring Equinox marks the beginning of a new solar year and has always been a great time for celebration and new beginnings," says Grant, who is a former contestant on Strictly Come Dancing. "These combined forces can have a deep and lasting effect on all the Sun Signs." Grant's horoscopes on how this energy might affect each star sign are below. Secrets of the past will surface over the next six months. You will prefer to keep out of the limelight and will be spending more time with people who are in touch with their spirituality. Increased sensitivity to the needs of others along with your natural psychic gifts will give you an almost mystical power. Be certain to use this wisely and remember the laws of Karma: as you sow, so shall you reap. When was the last time you reflected on your friendships and social commitments? If you can't remember, it is time to rectify that now. If activities carried out with the same old friends or regular routines now bore you, why bother to continue? Follow your heart and this could lead you to joining a volunteer organisation. Charity work where you can be of help and service to others would be really good for you now and could enrich your life beyond measure. People sometimes fail because they lose hope. They might give in to doubt and anxiety or lose sight of their original aims. The first day of spring is a perfect time for you to think about your long-term goals. Are you letting minor distractions and disruptions get in the way? Press ahead with plans you really believe in. Refuse to be fobbed of by anyone who doesn't take your ideas seriously. Maybe you need to find your way back to optimism again. If life lacks challenge, stimulation or excitement, it's no use complaining without doing anything about it. Take the initiative and get started on new ideas. Let your boss know you are capable of more or look for ways to broaden your horizons. You won't ever realise your full potential if you don't put in the effort. Travel to a distant place will change your outlook. Look for a new job if your demands aren't being met. All you expect is to earn a decent amount for the work that you do. You're hard working and loyal and that makes you worth your weight in gold. Don't be afraid to stand your ground. You could be saddled with more responsibilities over the months ahead but you won't have any trouble coping. Success will make you very sure of yourself but if a risky investment grabs your interest, walk away. Turn a long-term challenge into a joint exercise and you are more likely to stick at it. Big changes will occur in your career and to a partnership. When it comes to joint dealings, a flexible frame of mind is well worth aiming for. Mixing with likeminded enthusiasts who share your interests, views and values will be empowering. Don't ever hesitate to ask for help when you find yourself struggling. After all, that's what friends are for. If you're making changes in your career, choose your next job wisely. Teaching, travelling and animal care are good avenues for you to explore. Take care of your health over the months ahead by exercising regularly and avoiding rich food. Stick to fresh produce, leafy vegetables, whole grains and ripe fruit as this will serve you best. Your body will thank you for it when you need energy to join in with some fun sporting or social events in the summer. Unusual ideas for making money out of a hobby deserve more consideration. Discuss your thoughts with friends or even take professional advice. Finding a money spinning side-line will give you a fresh outlook on life. Work feels like a pleasure when you're getting paid for a job that keeps you occupied and entertained. When you do what you love, the money will follow. Changes in the family will affect many of your relatives in one way or another. Whether it is a separation, major financial hurdle or a house move, do your best to keep everyone looking on the bright side. You are suddenly aware of the importance of your family and roots. This could inspire a desire to delve into your family history. Initial difficulties can be overcome with perseverance. Your communication skills have never been stronger. Dealings with friends and colleagues will be mutually advantageous whether they are work-related or for pleasure. Just be certain you have a definite plan in mind before discussing anything that may affect the future. The months ahead will be fortunate if you are involved in political issues or community affairs. Working for a politician is another good possibility. Play your cards right and you should soon see the end of past money worries. You are about to enter a new and more lucrative phase. Over the next six months, your income prospects ride high. Finding new ways of earning a living will be both exciting and challenging. A surprise cash gift will allow you to splash out on some luxury furnishing. Capitalise on all opportunities to increase prosperity. 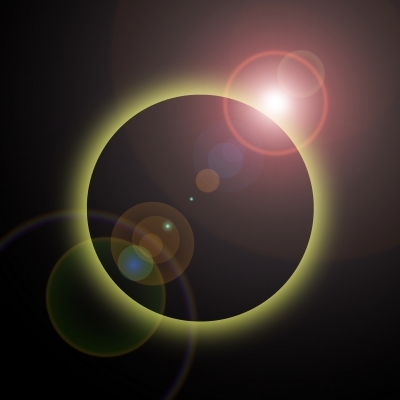 The eclipse will have a strong impact on your personal life and private affairs over the next six months. Believe that you have the ability to make your dreams come true. Wishing is no good without the confidence and determination to turn hopes into reality. The solar eclipse tells you that there's no end to what you can do if you believe in yourself strongly enough. Set your sights and don't let anything stand in your way. Be ready to open the door the moment opportunity knocks. Russell Grant has more astrological information at www.russellgrant.com.